The property damage lawyers at Anidjar & Levine are committed to protecting drivers from liability for property damage in the event of an accident. We provide the highest quality legal representation to car accident victims throughout Florida. Car accidents happen every day in Fort Lauderdale and other cities of Florida. In fact, motor vehicle accidents are the leading cause of accidental death and injury in the United States. 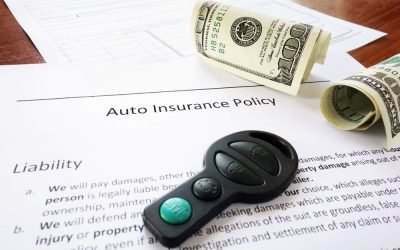 As a result, Florida and other states enacted laws requiring drivers to carry some form of auto insurance. This protects the driver from liability for property damage and bodily injury in case of an accident. Like other state laws, the purpose of Florida’s Financial Responsibility Law is to ensure drivers take responsibility for accidents involving their vehicles. This means carrying sufficient insurance to pay for any damages the drivers cause. Under Florida law, all motor vehicle owners who cause a crash must carry a minimum of $10,000 of personal injury protection and $10,000 of property damage liability (PDL). PDL insurance is especially useful when you cause a crash involving property damage. Rather than having to pay for repairs to the other car, the insurance company must pay a minimum of $10,000 in property damage liability per crash. This coverage pays for damages caused by you or your family members in the event of an accident. Even if you feel you were not at fault, you can nevertheless be held liable for damages to other people’s property. PDL saves you out-of-pocket expenses you would otherwise have to pay following an accident. In a crash involving property damage and bodily injury, you will be asked to provide proof of property damage and personal injury liability. If you do not have this coverage, you will be required to purchase it and obtain a release from any victims stating they were fully compensated for their injuries. However, crashes involving only property damage are not subject to Florida’s Motor Vehicle No-Fault Law, which requires at-fault vehicle owners to have in effect a policy with limits of $10,000 personal injury protection and $10,000 PDL. This law only applies where the vehicle owner is charged with a moving violation, causing an accident involving both bodily injury and property damage. PDL essentially covers damages to another person’s property for which you are liable. At-fault drivers are liable for a variety of damages arising from a car accident. These may include damages to another person’s car, home, telephone poles, lamp posts, traffic signs, fences, or mailboxes. Because property damage can be extensive, PDL insurance is important. If you were denied PDL coverage or have a PDL claim that was denied in bad faith, an experienced attorney can help you get the protection or compensation you need. The property damage liability attorneys, in Fort Lauderdale, at Anidjar & Levine are dedicated to helping car accident victims get back on their feet. We will review your policy for free and make recommendations on how to supplement your insurance with coverage you need. Our firm has extensive experience dealing with claims adjusters and advocating for your best interests. At Anidjar & Levine, we know that being involved in a car accident is traumatic and are committed to helping you achieve the best outcome possible in your case. We do not charge attorney’s fees unless you recover. If you require legal assistance in any area of Florida, call 800-747-3733 for a free consultation or contact us online.